Last night during the MTV Video Music Awards you may have caught a snippet of a Beastie Boys-esque track laced by Rick Rubin with Eminem spitting a couple of quick bars. 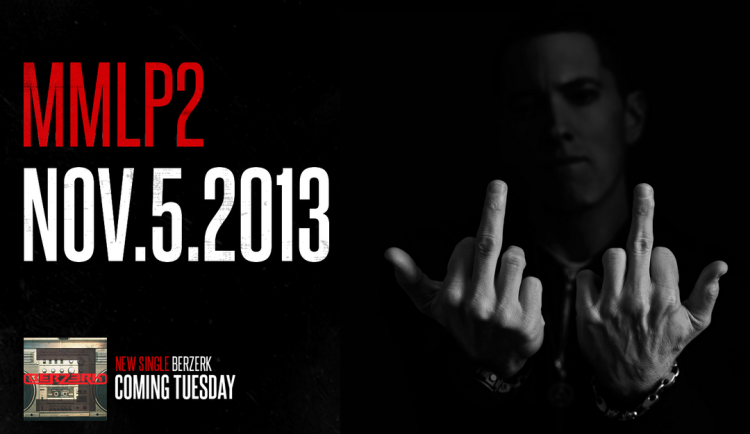 This was from a single called Berzerk, which drops tomorrow, off the upcoming sequel to the classic "Marshall Mathers LP" of 2000. The song is rumored to be produced by Rick Rubin and Dr. Dre, and has been mentioned several times by Dre and Eminem over the past couple of years. It was smart to bond this teaser in with a clear BEATS Headphones commercial, as this is starting to become a trend with legendary artists and how they are choosing to promote their new projects. Stay tuned to BITM for more updates.